The Hydrometeorological Hazard Early Warning System can predict extreme weather like sandstorms and heavy rain with an accuracy of 85%. A Lecturer from the Bandung Institute of Technology, in Indonesia, had recently showcased an application capable of detecting extreme weather in Saudi Arabia at the 33rd Janadriyah Festival in Riyadh, Saudi Arabia. 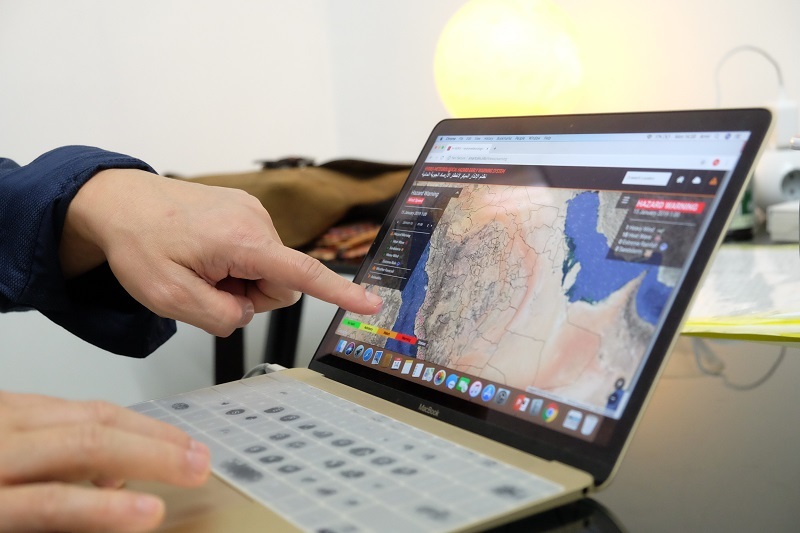 According to a recent press release, the Hydrometeorological Hazard Early Warning System (H-HEWS) can provide predictions on sandstorms, heat waves, heavy rain and other extreme weather, with an accuracy of 85%. The application gained attention from the government of Saudi Arabia, as well as visitors to the aforementioned festival, especially since recent catastrophic disasters in Saudi Arabia have caused considerable amount of losses. Created by Dr Armi Susandi and team, the system is capable of predicting the changing weather every three hours for the next three days. At present, the application can only be operated through a website, which is accessible with the use of a computer. Further development will be done in order to create a version of the application that may be used on smartphones. With the creation of this early warning system, the University has opened an opportunity to cooperate with Saudi Arabia. The whole system and application is currently under patent IPR. At the time of the festival, only a prototype of the system was showcased. Still, when it was tested, the system was able to function well. The system has a plethora of features and capabilities. These include predicting temperature, rainfall, wind direction and speed, humidity, and air pressure. It also has an early warning feature for potential disasters brought about by sand storms, strong winds, heat waves, and heavy rain. Satellites are used by the system so that it can predict the storms. Later on, when collaboration has been established, field data can then be combined and added. The system was designed to be used with a combination of data. Examples of such data are population data, hospital data, river data, house data, and data on roads, among others. More importantly, the system is already made in Arabic language, which would make it easier for Arabs to use. The team had already added this Arabic function to prove that the University is an entrepreneurial one and all of its products will provide help and be deemed useful by the community. In addition, the application’s high level of accuracy can be attributed to the terrain of Saudi Arabia since the country does not have many mountains and valleys. The University’s lecturer explained that predictions done in the desert region are easier than the ones done in an archipelago. The tool can be further developed to be able to measure accurately in kilometres. However, that capability would need a bigger server. All additional functions can be added later on depending on what Saudi Arabia would need and request for.